Phoenix Care Foundation recently embarked on an informative programme to educate people on how to manage their finances. Founder of Phoenix Care Foundation, Haroon Yousuph said the initiative was done in conjunction with Old Mutual to assist and educate all lower income bracket members on how to budget and save with the little that they have. 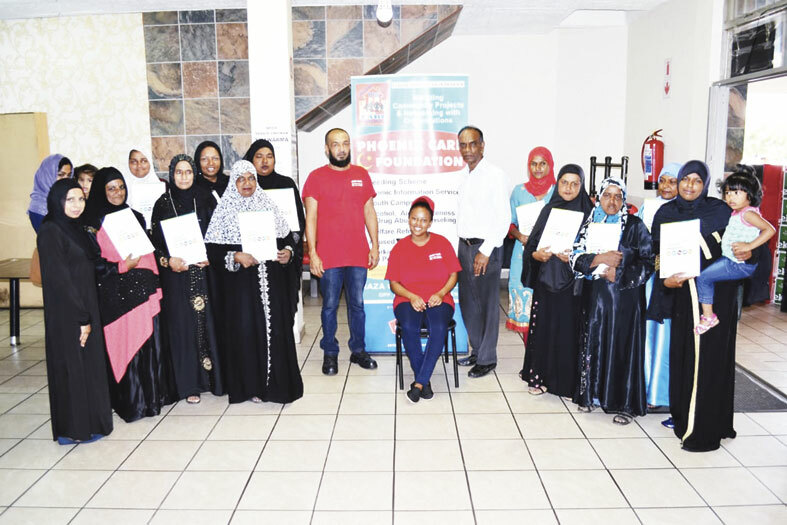 “PCF would like to thank Old Mutual facilitator, Shabnum Bux as well as the owner of Jade Cafe where the programme was held, for their most welcoming approach to the public. The programme was a huge success and PCF is looking forward to host another programme soon,” said Yousuph.